Demystifying the evaluation journey, this is the first evaluation mentoring book that addresses the choices, roles, and challenges that evaluators must navigate in the real world. 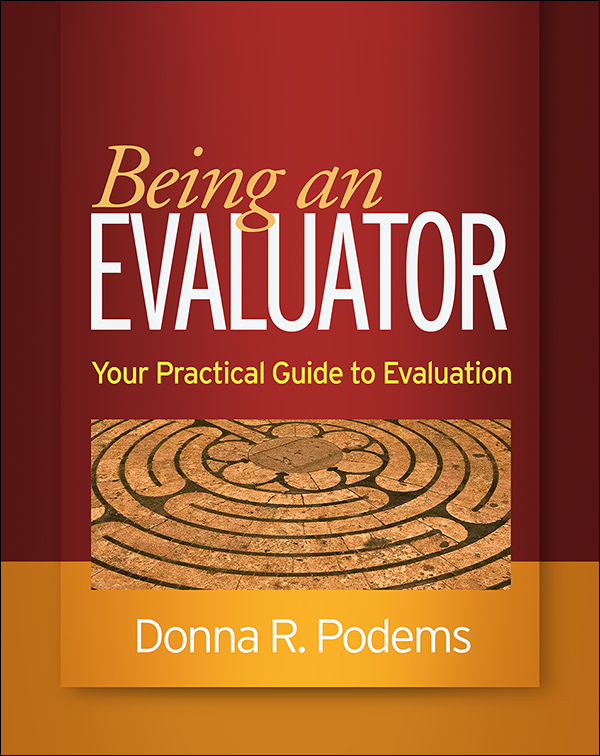 Experienced evaluator and trainer Donna R. Podems covers both conceptual and technical aspects of practice in a friendly, conversational style. She focuses not just on how to do evaluations but how to think like an evaluator, fostering reflective, ethical, and culturally sensitive practice. Extensive case examples illustrate the process of conceptualizing and implementing an evaluation—clarifying interventions, identifying beneficiaries, gathering data, discussing results, valuing, and developing recommendations. The differences (and connections) between research, evaluation, and monitoring are explored. Handy icons identify instructive features including self-study exercises, group activities, clarifying questions, facilitation and negotiation techniques, insider tips, advice, and resources. Purchasers can access a companion website to download and print reproducible materials for some of the activities and games described in the book.